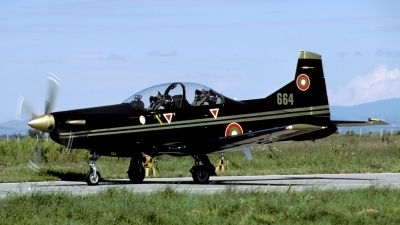 One of 6 PC-9M in Bulgarian service. 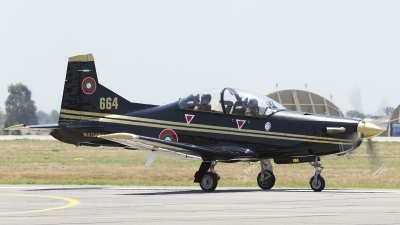 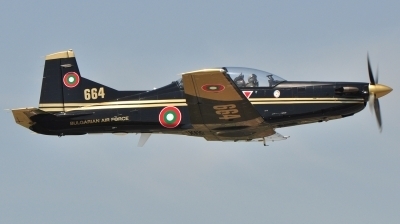 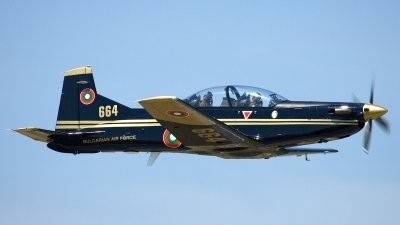 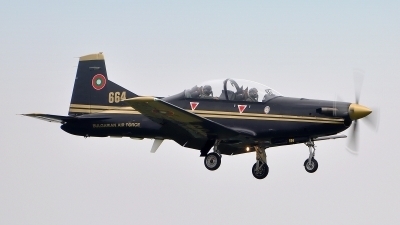 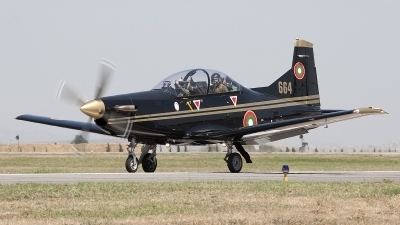 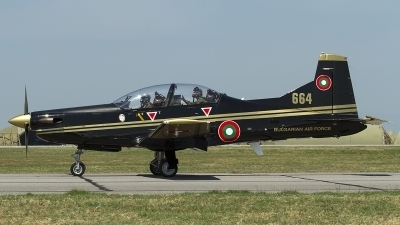 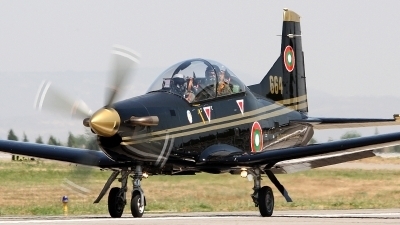 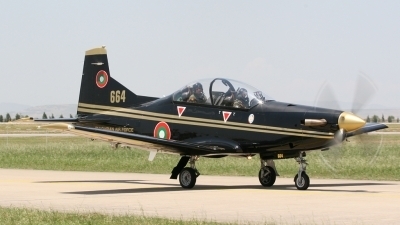 PC-9M from 1/12 UAE (Training sq.) 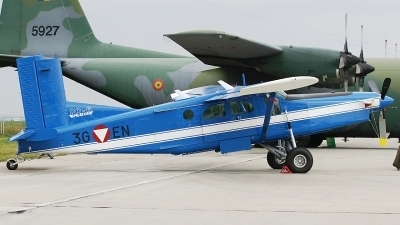 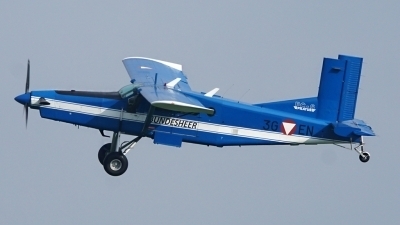 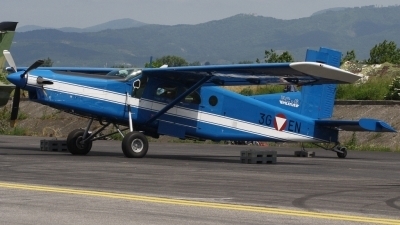 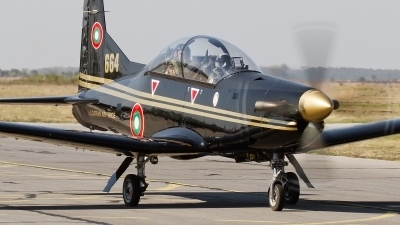 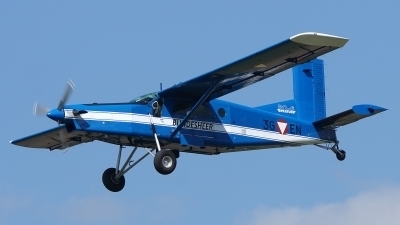 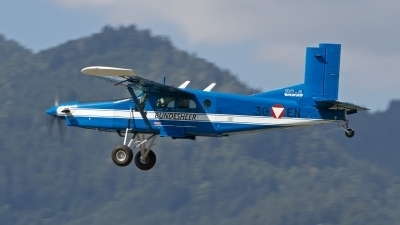 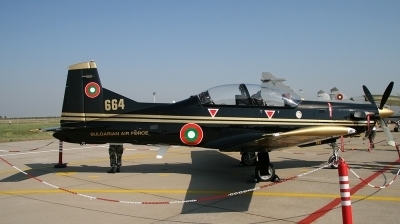 / 12 UAB (Training air base) Dolna Mitropoliya is arriving on Kecskemet air show 2010. 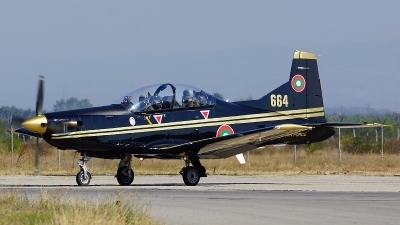 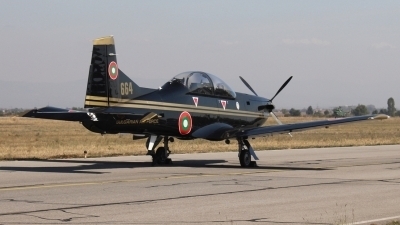 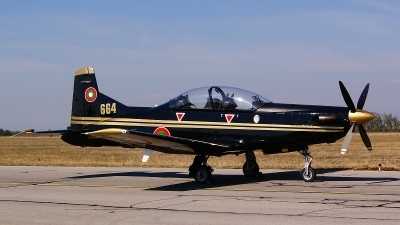 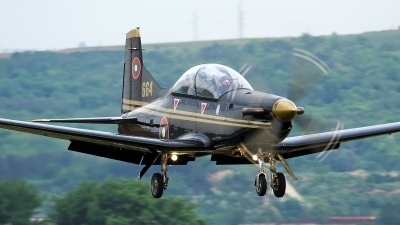 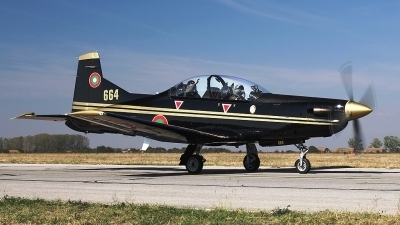 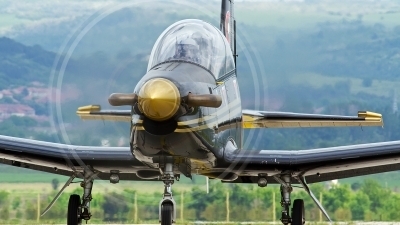 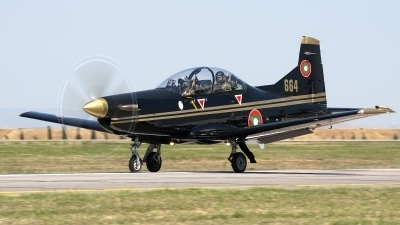 Bulgarian air force has in duty total of 6 PC-9M. 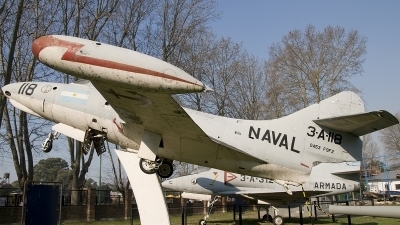 The only foreign client of the Panther was the Argentina Navy that bought 24 former airplanes ex US Navy in 1958.